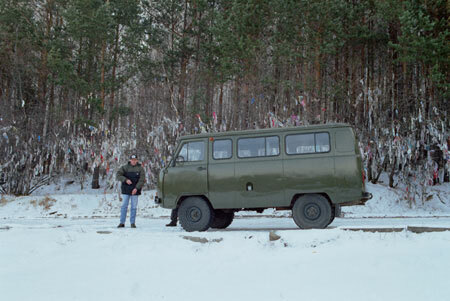 These photos were taken on a full-day outing from Irkutsk. 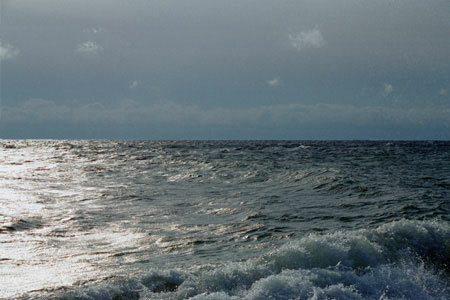 Lake Baikal is a small ocean, with 20% of the world's fresh water. 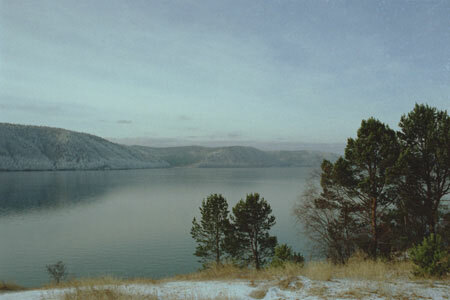 Baikal has 2500 species you don't find anywhere else, including fresh water seals, omul fish, and one fish that's used to such high pressure that it turns to an oil spot when it comes near the surface. Around the lake are wooden villages, and of course, more trees. 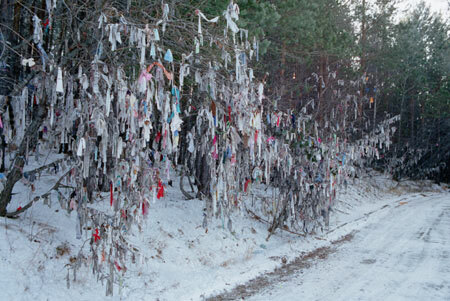 Besides nature, the area is known as a center for folklore, notably the village of Lisvianka. 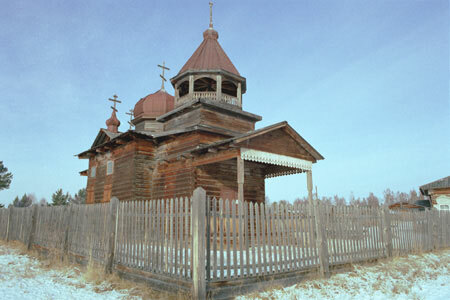 Couples from Irkutsk come to get married in the wooden church here. Alexander, the tour guide, is beside it. Behind are rags tied to trees. 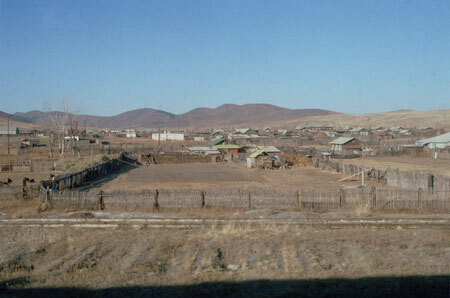 The local Buryats are Mongols who practice Shamanism and Buddhism together. 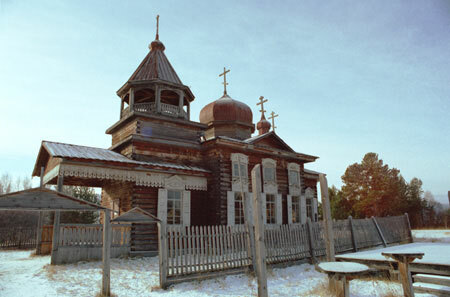 At the Museum of Wooden Architecture, a 20-acre plot with reproductions and many original Siberian buildings. 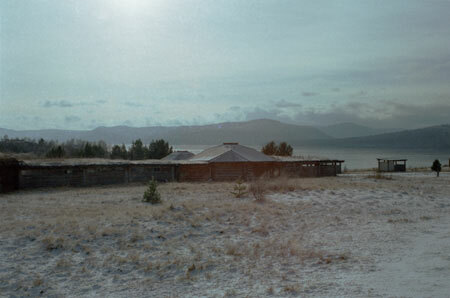 There's so much wood around that the local Buryats made a ger (felt tent) from wood. 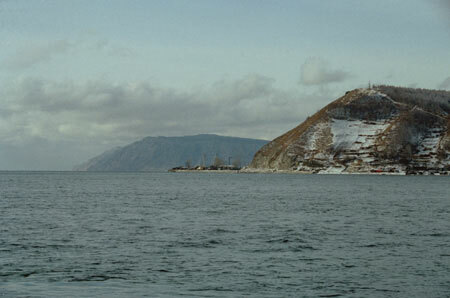 The museum also has a sensational view of the Angara river, which flows through Irkutsk and ends up in Lake Baikal. 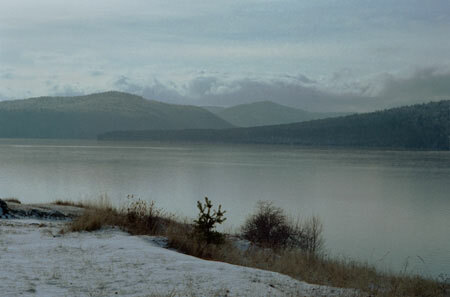 Nearer Irkutsk, the temperature has gone up a few degrees (hint: Power Station), but luckily, it hasn't affected the lake. It's hard to stop snapping pictures in a place like this. Closer up. 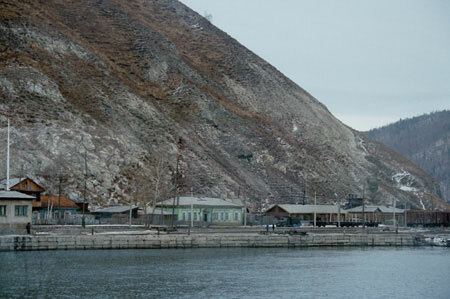 Somewhat depressed and ramshackle, it's the terminus of the Circum-Baikal Railway. In its favor, everyone we saw said a very friendly, "Hello!" as they passed. It reminded me of a small village in Donegal where I spent one summer. My attempt at art. 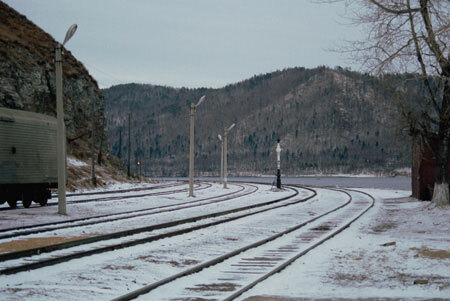 The railway used to be part of the Trans-Siberian, but now is only runs for tourists during the summer. 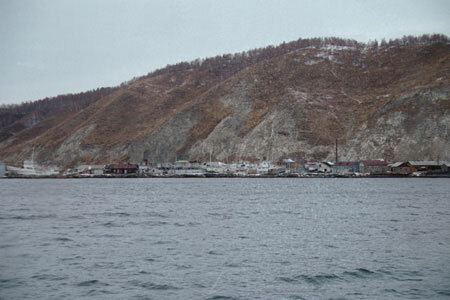 There wasn't a good opportunity to photograph Lisvianka, the local "folklore" village near Baikal. 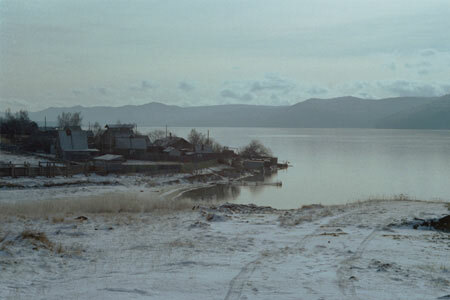 This picture was taken from the train after leaving Irkutsk. These villages are haphazard affairs, and don't follow any plan.